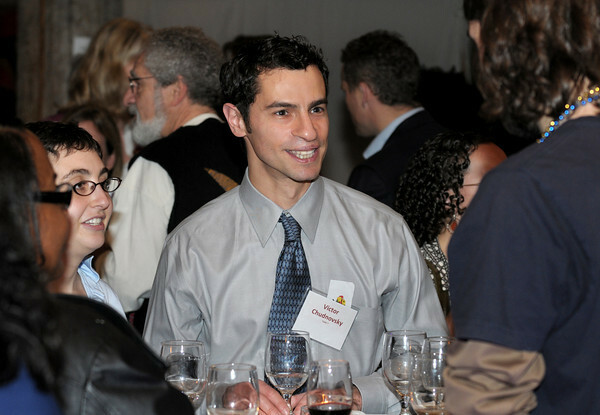 Victor Chudnovsky, a 2011 Next Generation Giving Project Member, shared his story with the guests at Social Justice Fund’s Annual Dinner on September 17, 2011. Below are his prepared remarks, reposted here from Victor’s blog, Critical Exponent. As with many other people, my awareness of social unfairness began at home. My parents pointed out and lamented the injustices that plague the lives of the poor—both individuals and societies. Coming from Latin America, we were acutely aware of our differences with the First World—which is to say, aware of the widespread impact of American culture, consumerism, and foreign policy. I was to learn much later that my parents had actually been involved in progressive causes earlier, but growing up, I did not experience their angst and concern being translated to action. Instead, there was always this attitude that charity was just throwing money away: a feel-good measure that did nothing to advance the systemic change needed to solve the root problems. That stance certainly has some merit (“teach a man to fish” and all that), but it can all too easily become an excuse for inaction and helplessness. As I grew up and my newspaper reading shifted from the comic pages to the front pages to the editorial pages, my sense of urgency around social issues grew. What also changed is that I finally had money of my own: first my grad school stipend, and then a real, honest-to-goodness salary. I now had much more motivation and many more resources than I had ever had before, but I was still confused as to the best means to effect change. I gingerly became an online member of one or two national progressive groups (they were pursuing systemic change!). I soon became inundated with solicitations from many more. Most seemed worthy, and I had money, so I sent fifty dollars here, fifty dollars there, fifty dollars everywhere, and got a walletful of membership cards. But was spreading my money around really effective? Was there a way to become more directly involved in creating change without either giving up my day job or throwing money at the problem as though it were somebody else’s job to fix? And then 2000 happened. The suspense and non-resolution that followed that election felt to me like the beginning of a nightmare, one in which (I’m ashamed to admit) I disengaged in despair for eight painful years. I knew that disengaging was not helping anyone, but watching the social and political discourse was just too painful, when all I could do—all I knew how to do—was wring my hands at my own powerlessness to make the world right. But soon enough, I wasn’t alone anymore. I eventually dated and married Knox. One of the many remarkable things about him is how centrally he values reaching out to others and building community. He’ll stop to help or chat with a neighbor just because; he’ll organize a community harvest to glean fruit that would otherwise be going to waste; he’ll spend much time helping folks throughout the country organize Soup Swaps where they can rediscover the fun of cooking and sharing and telling stories. In short, through Knox, I came to understand more viscerally how communities get built from the ground up based on individual interactions. At the same time, I noticed that this community-building was also happening on the national stage, as the left began to coalesce around the Obama campaign. Thanks to what was happening at both the national and very local levels, I came to realize that by fostering community, the isolated helplessness to which I had succumbed could instead become collective progress. 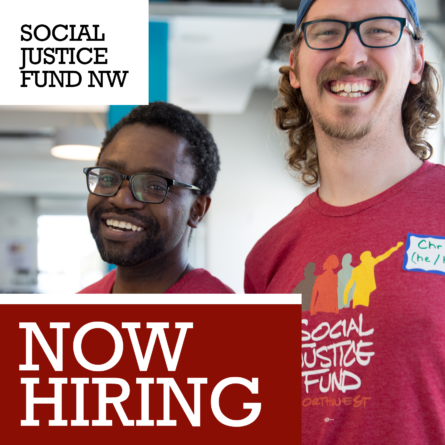 And so this year, at the urging of my friend Jessan, I got involved with the the Next Generation Giving Project run by the Social Justice Fund. I was fascinated by the discussions we had around wealth, class, and privilege—a complex of topics I want to keep exploring. We learned about fund-raising: I wasn’t very successful at that, yet I was still pleasantly surprised at how receptive people were to my pleas. And we evaluated a heck of a lot of applications in a few short weeks. Every night I would grumble at how long that process took, and yet, when I read each application, I would feel guilty about my complaining when it was them doing the hard, amazing, often thankless work down on the ground. Now, unlike most of the really great SJF members with whom I worked this year, I don’t have a background in social work nor, as you see, in activism. I can’t say “intersectional analysis” without feeling self-conscious. That makes me feel like a bit of an impostor among all of you here tonight. 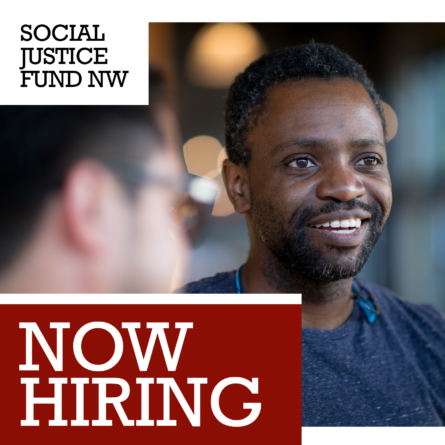 But I know I’m not, because of course this is where my social justice journey has taken me: SJF is working for systemic change, by channeling resources to effective groups while building and sustaining a community working toward a shared vision. 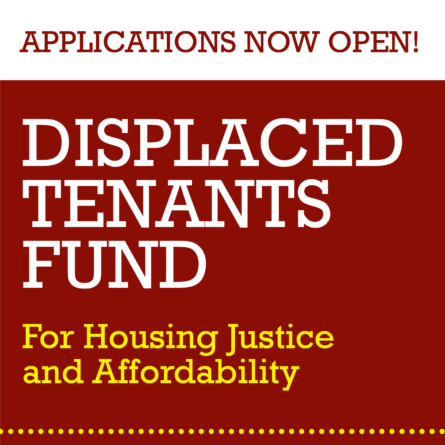 Social Justice Fund continues to build an organization where the value we create is much more than the dollars we grant. All that we achieve is only possible with your support. Please consider renewing your membership or becoming a new member today to support SJF as we build progressive power through donor activism.